AnswerGarden » What is your Favorite Desert?...- Plant a Question, Grow Answers! 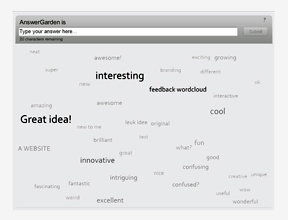 Generate a live word cloud with your audience. Question: What is your Favorite Desert?